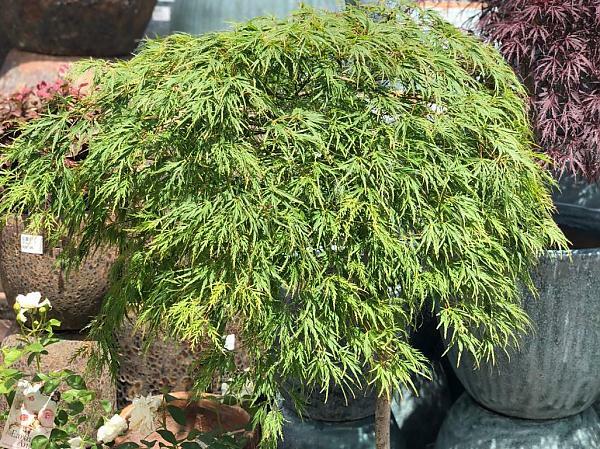 Gorgeous green weeping maple with soft green lacy leaves. Nice neat weeping shape. Looks fantastic with red weeping maples planted next to it.